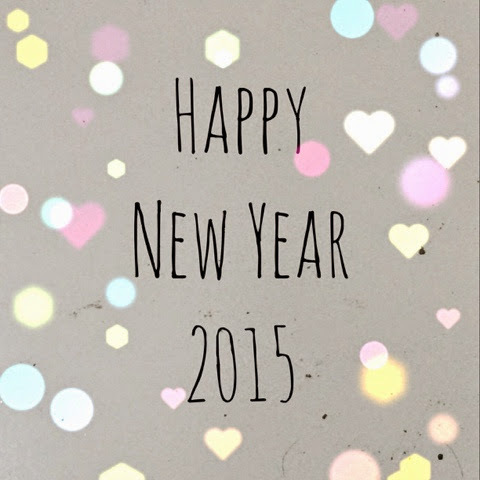 hi all, how did you start your first day of the new year? for me, i started my 2015 by deactivating the instant downloads from my etsy shop and removing the patterns from my craftsy shop. 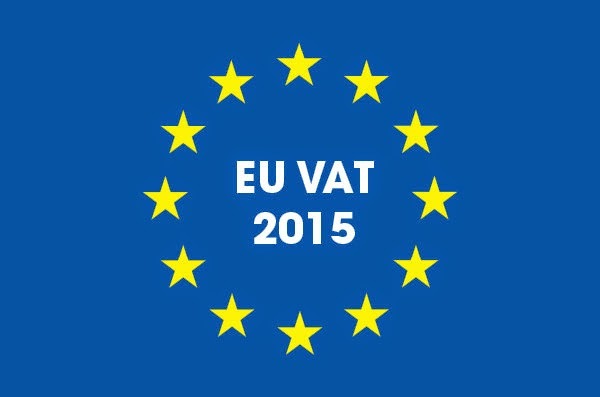 you might have heard that starting from 1 January 2015, the EU has applied a new regulation for VAT on sale of digital products, which stated that an online business will need to account for VAT in the EU member country where its customer lives, at the VAT rate applicable to the buyer's country, rather than charging the seller’s country VAT rate as it was before. who will be affected by the new law? anyone selling digital content or e-services, including telecommunication providers and broadcasters, are all impacted. the legislation applies to businesses based inside and outside the EU, all now accountable for paying the VAT owed to the buyer's EU state. i read somewhere that it's quite a fine line between what is, and isn't affected by the new EU VAT. for example, emailed content which was manually attached to the message by the seller before sending to the buyer is not considered as electronically supplied and is therefore not affected. however, manually sending the buyer a link to downloadable content in an email instead of attaching it is considered as electronically supplied. anyways, since both etsy and craftsy did not (have not?) come up with any solution to this issue, i have decided that starting from 1 january 2015, i will limit my transactions only for buyers from non-EU countries. since i could not control who will buy my patterns, thus, i have to remove all the instant downloads from my pattern shop and go back to manually e-mail my patterns to the (non-EU countries) buyers. it is sad indeed. what will happen to the idea of a free global market? and not to mention to give up the convenience of having the instant downloads. good news is: i have found another online platform to sell my patterns, especially to buyers from the EU countries: payhip. it says that it handles the EU VAT by automatically including it in the price when the buyer comes from the EU countries. visit my payhip here. i do hope that etsy and craftsy will come up with solution that will ease the burden of the small business in dealing with this VAT regulations. fingers crossed. i hope you all have a memorable 2014 and ready to move forward with great determination of a great year ahead! who lives in a barn? hi! 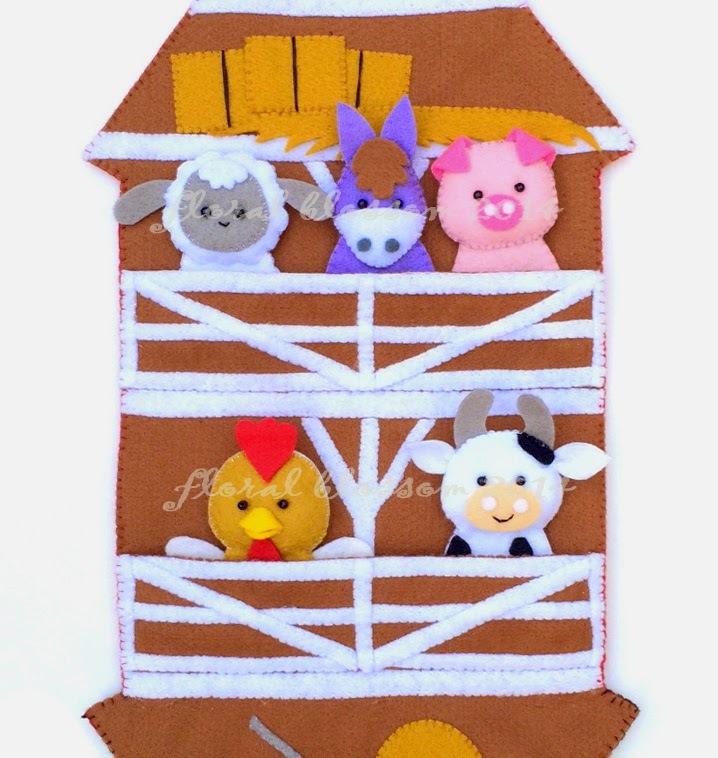 i have a new listing in my etsy shop: barn finger puppets storage pattern. a customer came to me with an idea of a storage for finger puppets. she requested me to design a barn storage for the farm friends finger puppets. even though it took me weeks before i could finally managed to come up with the template, now the barn pattern is now ready to be purchased in etsy. the barn storage can be folded and carried like a little bag. or you can also leave it open and hang it on the wall for display with the finger puppets inside. hurry visit my etsy shop! 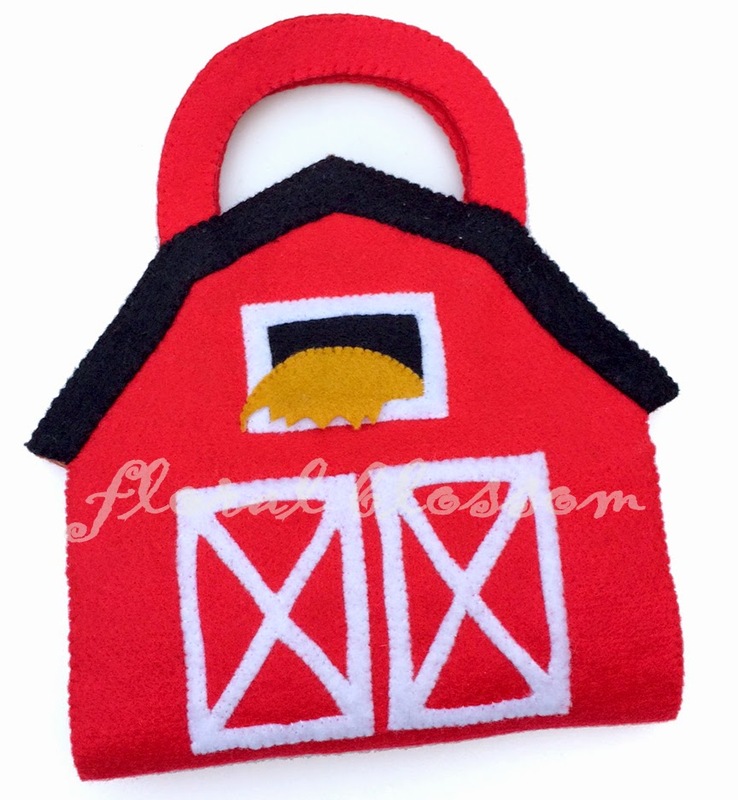 the barn storage will be a great christmas gift for your little ones. and don't forget, you can still have the 30% discount in my etsy shop until 25 november. 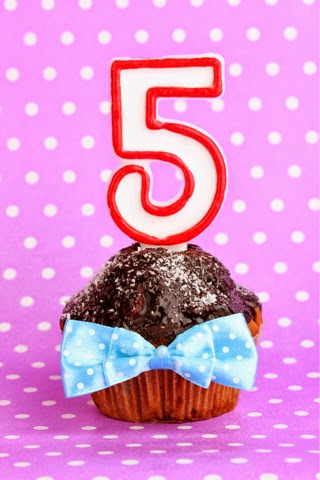 my etsy shop turns 5 today! my etsy shop turns 5 today! yeeay! 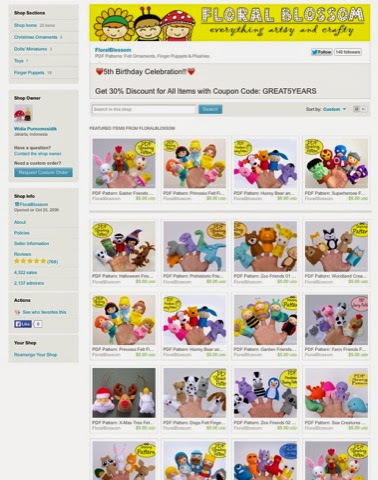 on 25 october 2009 i opened this shop in etsy with full anticipation. the first year sales were not too promising, because i only have few listings up. 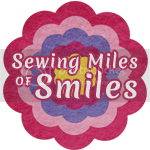 but as time flies, i learned that as i put up more listings, people visited my shop more often, and my shop received more admirers and made more sales! as of today, my shop has 4,322 sales and has 2,137 admirers. i think the statistic looks amazing! i have to thank my customers for giving me encouraging feedbacks. thank you all, you are the best! and of course i have to thank etsy for providing me with a place to channel my creativity in a profitable way. i personally feel that etsy is still the best online market place available today. good job etsy! oh well, enough for the speech. 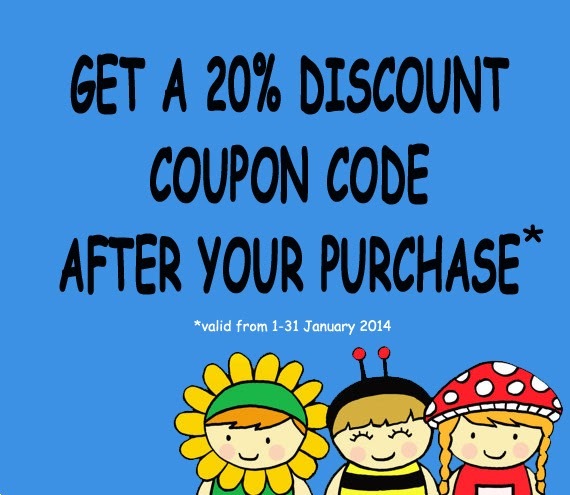 now we move on to the fun part: DISCOUNT! to celebrate the great five years of our togetherness with etsy, my shop will give 30% discount for all items in my shop! just insert the coupon code GREAT5YEARS when you make the purchase. 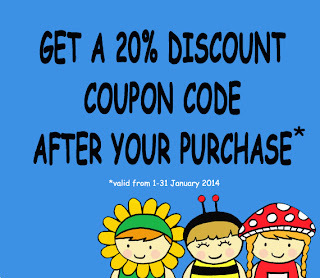 the coupon code will be expired on 25 november 2014.
to celebrate the new year, i'm offering a 20% discount in my etsy shop (for a minimum purchase of USD 10) after your first purchase. a coupon code will be e-mailed to you after your first purchase in my shop, and you can use it for your next purchase. 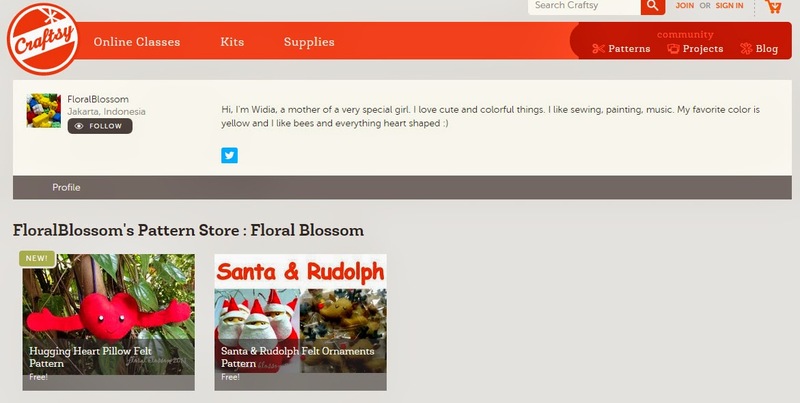 make sure that you have set your e-mail to be able to receive the coupon code notification from etsy. the promotion valid through january 2014.
the disney princess is available in my etsy shop. 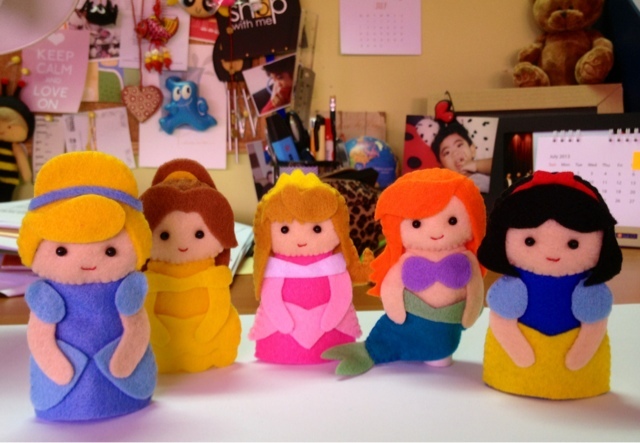 we have cinderella, belle, aurora, ariel and snow white. 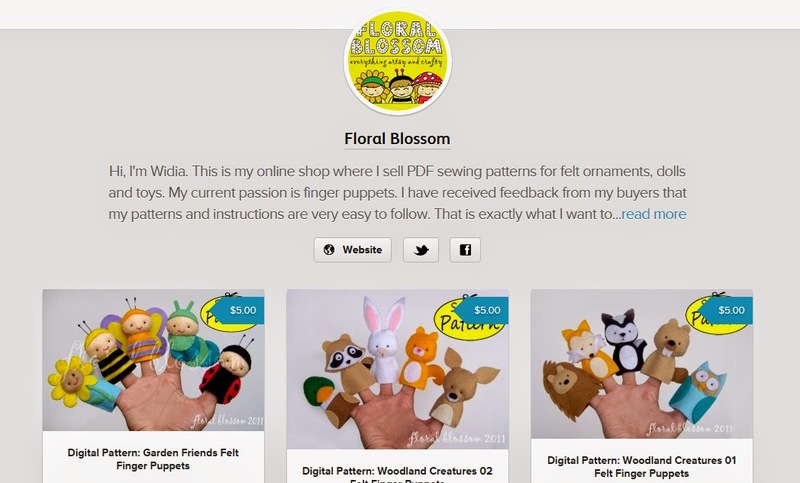 buy one dogs finger puppets pattern from my etsy and get one more pattern for free! 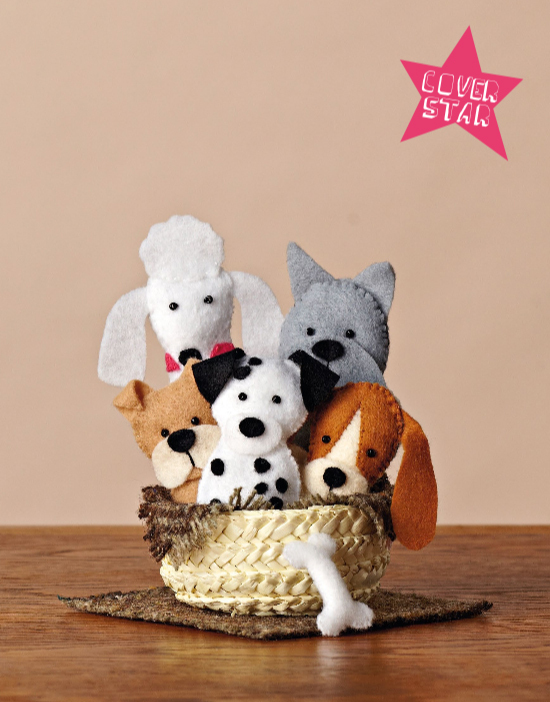 buy one dogs finger puppets pattern and get one more pattern for free! since my dogs finger puppets pattern is featured in mollie makes magazine, i'm now in the mood to celebrate it with all my lovely customers out there. i'm hosting a promotion in my etsy shop: if you buy one dogs finger puppets pattern (worth US$5), you can choose one other pattern from my shop for free! Just mention the pattern of your choice in the note to the seller when you check out. this promotion is not apply for the nativity finger puppets pattern. this promotion will be closed on 27 april 2013, 00.00 hrs jakarta's time (GMT+7 hrs).